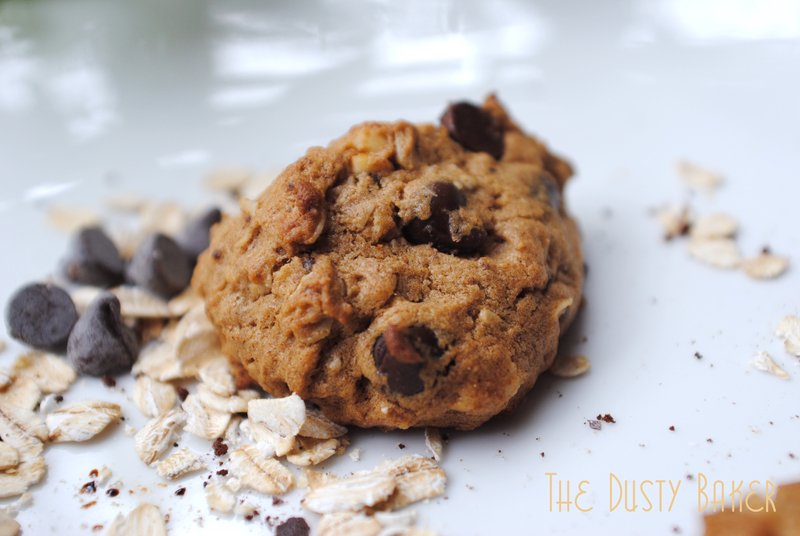 Morning Jolt Cookies – Gluten-Free Oatmeal, Peanut Butter, Vanilla, Coffee, Chocolate Chip! 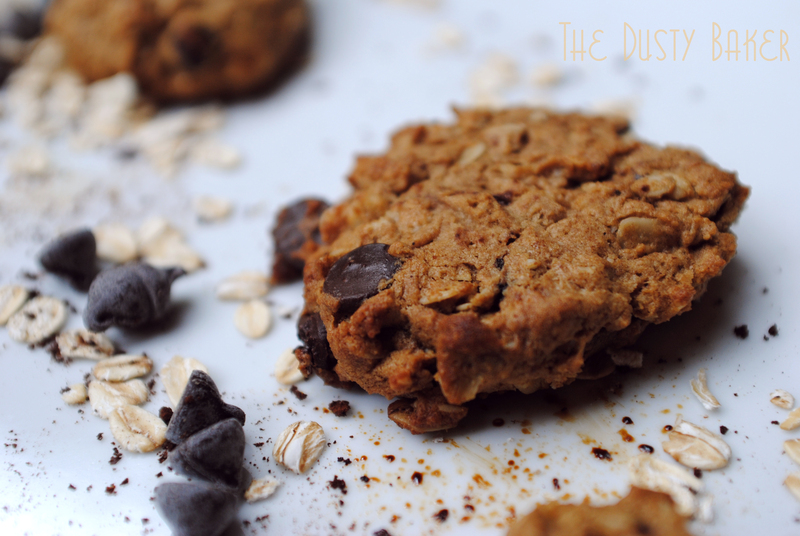 My Morning Cookies - Oatmeal, peanut butter, chocolate chips, molasses, maple syrup, vanilla and coffee! I needed a jolt this morning. Strong coffee, chocolate, molasses, peanut butter, maple syrup, vanilla… what else could I throw into a cookie? Yes, this is the way I wake up, especially on mornings such as today. And the dog decided that nestling next to me was much more fun than going outside. And I decided that hitting snooze five times was more exciting than going outside. And together we decided that being adorable was much more vital than going outside. And then, in a Herculean move, I made some decaf espresso (it’s all about mind motivation), put the dog in her sweater (I have become one of those people), and we hit the chilly, misty streets. Oh, this also helped me get out of bed this morning. Nothing like a little Gladys in the headphones when you’re out walking. I want to be like her… oh so cool. I’m interviewing filmmakers today for a new project (shh) I’m working on. I lost the guy I was going to do this project with a few months ago and really want a new creative partner, so the next two days I’m interviewing 14 awesome-seeming individuals and am hoping to fall in business-love with one of them, or that one of the filmmakers at the company I’m squatting at falls in business-love with me. And so I must bring cookies and milk. 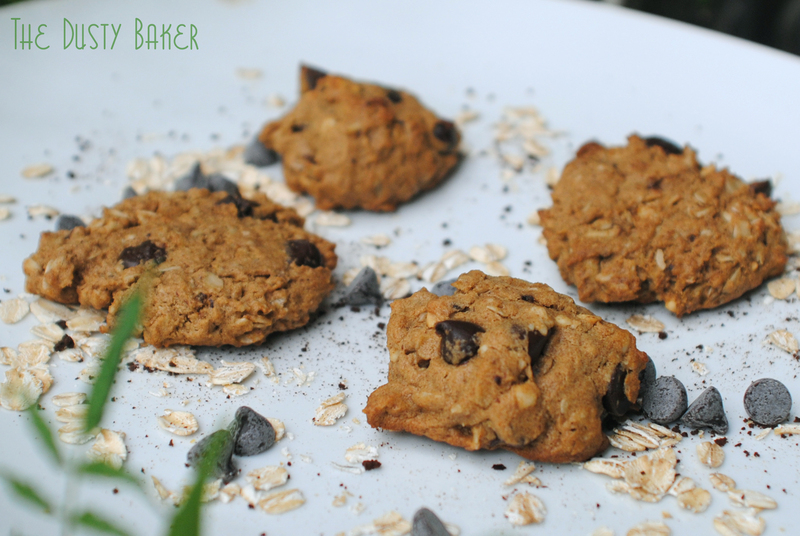 I was so psyched by my healthy-ish Oatmeal Chocolate Chip cookies the other day I figured I’d take it a step further and throw in some mega-energizing peanut butter, coffee and molasses. Keep it gluten-free, keep it dairy-free. OK, so I ate one five for breakfast (in all honesty, it was two. But I’m hypoglycemic so two feels like five. I must immediately never stop eating cookies for breakfast). And they are delicious. Still a tad too sweet for moi, but most people will find them just-sweet-enough. I baked one round without pressing, so they were light and fluffy, and used a spatula on the second to flatten and crisp them a little more. Both are delightful. You get the depth of the peanut butter, the punch of the chocolate, the whole-grain goodness from the flours and oatmeal, and the dark aftertaste of the molasses. The coffee just strengthens all the other flavors – if you want a real coffee taste I’d suggest throwing in another tablespoon. 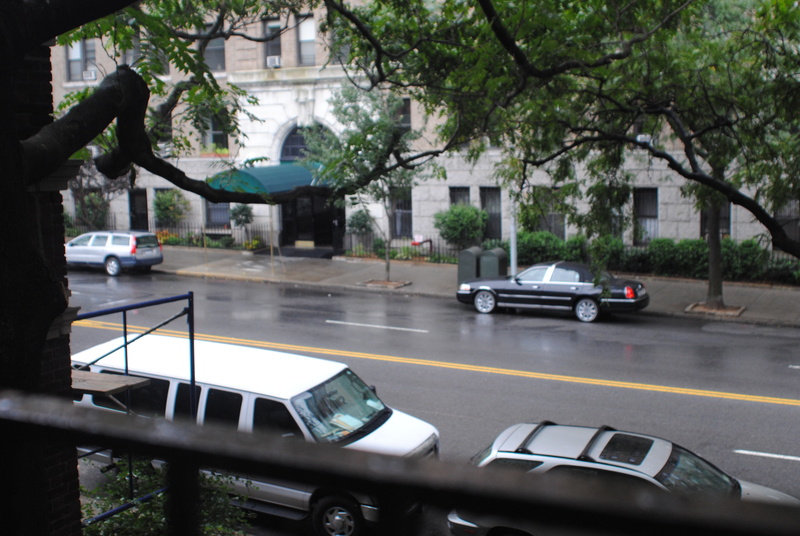 Now the rain is coming down and I’m drinking my second cup of decaf java, ready to write some articles and go meet some new people, and then meet a lovely man for some live bluegrass tonight. I just got the Happy Days theme song in my head. Not a bad Tuesday. Notes: I used teff flour for fiber, millet for protein and the soft texture I love in cookies and arrowroot as a binding starch. If you so choose, you can substitute this mixture for 1 3/4 cup of all-purpose pre-blended flour, such as one from Bob’s Red Mill or King Arthur. Make sure your oats are gluten-free and your shortening is fresh and preferably non-hydrogenated (I use Spectrum). Also, please use real maple syrup and never a “pancake syrup”. If you do, don’t tell me or I will cry, literally. I used Sunspire’s dairy and gluten-free chocolate chips this time. Preheat oven to 350°. Line heavy baking sheets with Silpat or parchment. In a small bowl mix flours, gum, baking powder, salt, cinnamon and nutmeg. Whisk to combine. In the bowl of a standing mixer with the whisk attachment, beat shortening and peanut butter on high until smooth and fluffy. Add the eggs and beat on high until fluffy and almost marshmallowy in consistency (yes that is a word. Now). Reduce speed to medium high and add the maple syrup and molasses while mixing, beating until smooth. Scrape the bowl down if needed to make sure it combines fully. Add the vanilla and coffee granules and beat to combine, scraping bowl as needed. Stop mixer, scrape the bowl, add the flour mixture and mix on low until incorporated, then at medium until fully combined. Fold in rolled oats… hold on, timer is dinging… ok, I’m back. Fold in the rolled oats one cup at a time until evenly distributed. Drop onto prepared mats using a little more than a Tbsp (I used two large spoons and rolled the dough between until they were the size and nice little round shape I wanted). If baking two sheets at a time, bake for 6 minutes, then rotate the pans (top to bottom and front to back) so that the cookies bake evenly, and bake for another 7 minutes. If desired, halfway through the baking process flatten a bit with a metal spatula. Bake until slightly brown, adding an extra 3 minutes if you want them a bit crispier. Cool a minute or two on sheets before removing to cooling racks. Enjoy with a glass of your favorite milk, a black coffee or a shot of insulin. If your interviews turn out as well as these cookies your project is going to be a smashing success! Good luck with them all today. I am so excited to see teff flour included in a recipe! Especially one for cookies. :) I have a ton left over from a failed attempt at inerja. Can’t wait to try it! Yeah, if I started eating those for breakfast, I am pretty sure I would have a hard time stopping too! I love that you put coffee into healthy cookies. I am now eating cookies every day for breakfast.